Leaving home behind is easy when you're escaping to a city full of adventure just waiting for you, and with cheap flights to Athens available to find with Compare and Fly, there is no reason to delay the journey! Boasting an unrivalled history and culture, Greece's capital city has it all going on, from the vast range of ancient ruins and museums, to national gardens to be enjoyed by all. If there is one "must" whilst in Athens, it's undoubtedly taking the time to appreciate the Roman ruins in all their glory; with plenty of them to explore you can get a true insight into Greek history. 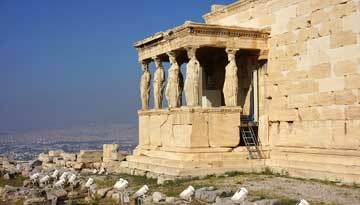 Amongst the most recommended is the Parthenon, a gem amongst historians. Constructed in 447BC, this was home to the goddess Athena for centuries, housing an impressive statue of her made from ivory and gold. Its other uses also included a Christian church, a mosque and an Ottoman's ammunition depot leading to its demise in the late 1600s by the Venetians. Other ruins to add to your list include the Acropolis, Erechtheion and the unmissable Temple of Poseidon. For history of a different character, be sure to head to many of Athens's museums, whether that means one dedicated to art (Cycladic or Islamic), or arguably one of the most important in the world – the National Archaeological Museum. Full of thousands of Greek antiquities, you can appreciate the historical and artistic value of each individual era. Museum by day, Technopolis is a social, party driven location by night. It's unbelievable just how much you can experience by booking a cheap flight ticket to Athens with Compare and Fly. If you want to indulge in something other than history, relax and gather your thoughts in the 38-acre National Gardens, home to a zoo and a botanical museum. Make a day of it and take along a picnic of classic Greek cuisine or visit the Kolonaki neighbourhood for a real Mediterranean food experience. Take some time to explore this area and visit the cool shops, "hole on the wall" pubs and, of course, pick up some souvenirs of your trip. With summer temperatures reaching highs of 29°C and other seasons averaging around 13°C, this historic city's sites are accessible all year round. This accessibility is made even easier by the convenient and timely transport system around the city, allowing you to take the bus, metro tram or train to get to various destinations (including to and from the airport). It's easy to be at the heart of Greek heritage when you let us do the work – compare flights to Athens with us today to find deals to suit you. 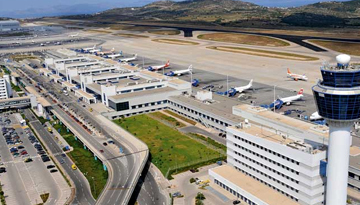 Flights to Athens with Lufthansa great fares from £159 return including taxes. Delphi Art hotel is easy to find, its just 5 minutes walk from Omonia Station. 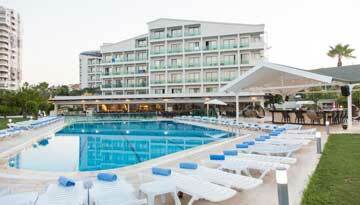 Fly from London Gatwick - Athen & Stay for 7 nights with 3 star accommodation. Include Bed & Breakfast.